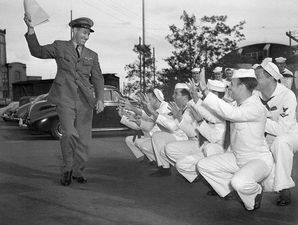 On December 8, 1941 – the day after the Japanese attack on Pearl Harbor - Feller enlisted in the Navy. 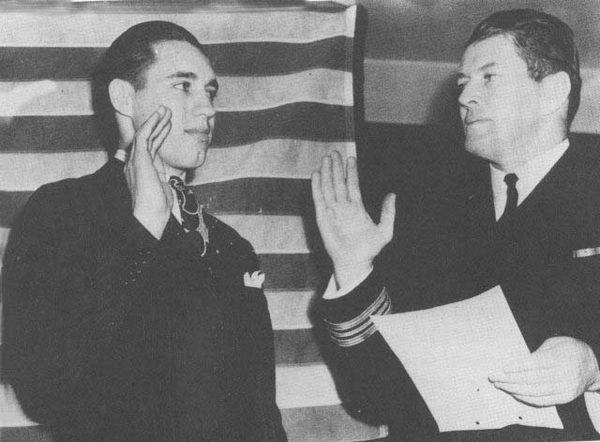 He was sworn in by former heavyweight boxing champion, Gene Tunney, at the Chicago courthouse. 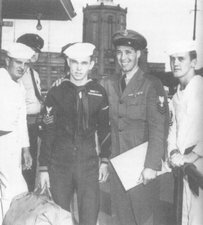 He was assigned to the Norfolk Naval Training Station in Virginia, as part of Tunney’s physical fitness program, and pitched for the baseball team. 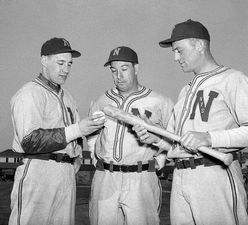 The line-up included Freddie Hutchinson and Vince Smith, and Feller hurled his first game for Norfolk on April 3, 1942, against Richmond University. In three innings he struck out three and allowed one hit. Norfolk won the game, 13-1. 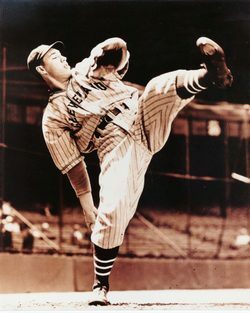 On June 15, 1942, Feller participated in a five-inning baseball game at the Polo Grounds, New York, as part of an all-sports carnival to raise funds for Army-Navy Relief. 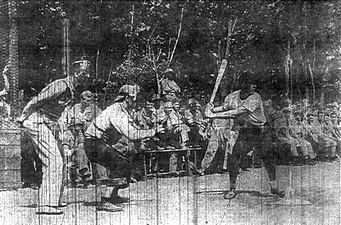 Feller pitched the Navy team to victory against the Army’s Hugh Mulcahy - allowing three hits and striking out five. 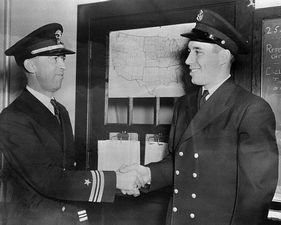 Feller being sworn in to the US navy by former heavyweight boxing champion, Gene Tunney, at the Chicago courthouse in December 1941. Early in 1944, Feller was contacted by Seabee Albert P Pellicore of Chicago, who asked him to play a game against a team composed of the best players on an island in the Pacific. "Bob was in rare form that day." Pellicore explained in a letter to John P Carmichael, sports editor of the Chicago Daily News, "and pitched exceedingly fine to the delight of the largest crowd ever assembled in these parts." The "All-Stars." playing against Bob, lost the game 9-0, with Feller striking out 15. "I write this because I feel the people back home should know about a man who besides his regular line of duty is contributing so much toward the entertainment of all concerned," the letter concluded. 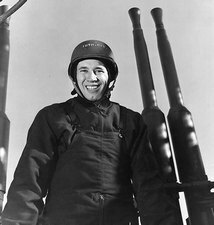 Talking about his military service some years later on an episode of ESPN's Major League Baseball Magazine, Feller said "I'm very proud of my war record, just like my baseball record. 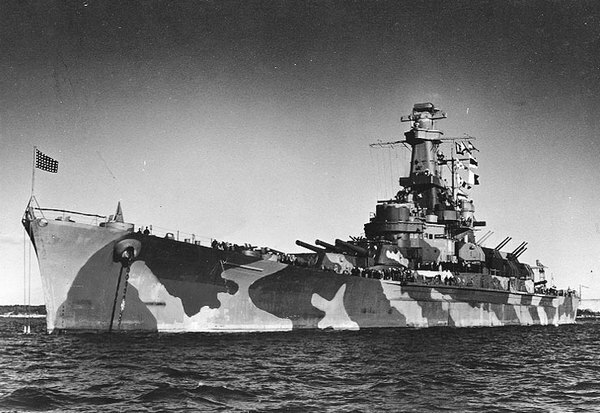 I would never have been able to face anybody and talk about my baseball record if I hadn't spent time in the service." Not one to be phased by modern technology, Feller participated in an online chat with fans from Cooperstown in April 2005. One of the many questions he was asked was whether he had any regrets about serving in the war? "No, I don't," he replied. "During a war like World War II, when we had all those men lose their lives, sports was very insignificant. I have no regrets. The only win I wanted was to win World War II. This country is what it is today because of our victory in that war. I first met Bob back in 1989, when he came to England with the MLB Alumni All-Stars. I was playing for the Great Britainnational team in an exhibition against the Alumni in Manchester. Bob pitched to the first couple of batters and I remember watching him and thinking how I had never been so close to a true living legend. We met again, briefly, when the Alumni All-Stars returned to England a year or so later and put on a training clinic at the home ground of my club team, the Enfield Spartans. Bob was very friendly but I’ll also remember how tough he was . . . boy, was he tough. Earlier this year I’d heard that Bob was ill. I didn’t want to believe we’d lose him because when I’d met him back in ’07 he was still as strong as an ox, but I guess Bob’s time had come so all I can do is say thank you for the wonderful memories. 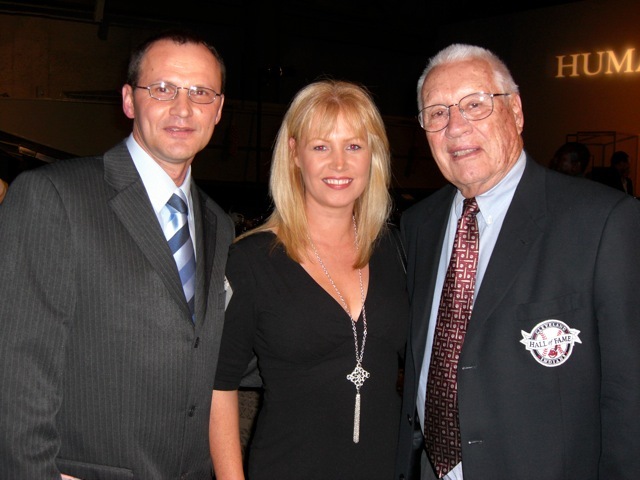 Bob Feller with myself and my wife, Lainy, in New Orleans in 2007. Created January 13, 2007. Updated December 16, 2010.